How would you know the clarity of a diamond? Is there a basis or criteria for it? For people, when they see how clear and brilliant a diamond is, they would considered perfect for them. 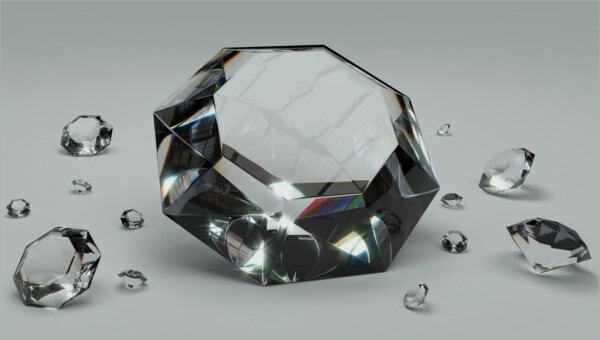 But take into consideration the utilization of a chart tool designed for diamonds, a Diamond grades clarity that can be access online is a useful tool to determine how a diamond is being graded based on the clarity and other 3C’s as part of the study and analysis under Gemological Institute of America. You will also have an idea for the sellers to name the price for the diamonds based on the Diamond Clarity Templates they look into it. As you travel around the world, the more you see different diamond shapes and color stones. Just like a diamond pear shape, when it is out in the stores, the price will depend on the grade and clarity of it. As a buyer, you want to be sure about what you’re buying and it’s good to have a knowledge for it with the use of a guiding tool. 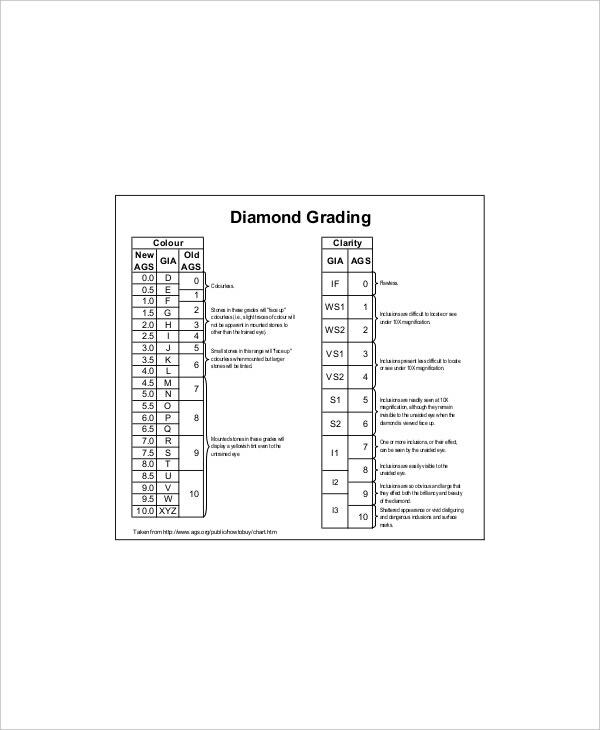 Download a Chart Templates via online to know about Diamond pear shape grades and clarity chart. The grading of every diamond will be based from clarity and criteria of Gemological Institute of America. The price of a diamond when it is out in the market will be according to the details of grading and weight of it. 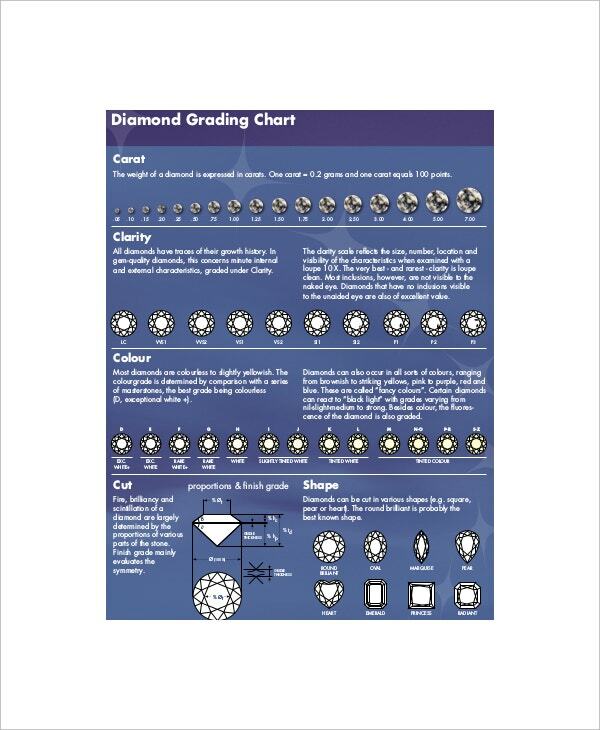 Anyone can see list of grades for each diamond and the measurement use to determine how clear your diamond is through a guiding tool found online known as diamond grades and clarity chart. This is perfect and helpful both for seller and buyer of diamonds. People can now browse charts for diamonds without hassle and this is considered accessible whenever you are. Keep in mind that the price for each diamond is based on the criteria and grading of the clarity. It will be great if you take a look at the samples chart online to view various diamond stones and check out how clarity is being measured. The diamond chart is common to present using an Excel application. The whole document is presented in excel program where the contents of the chart can be easily copied and modified. It will enable you to choose the category you want to see by just dragging the sacagemlab.com/croll bar and record the findings you have seen for a diamond to be graded. You can also see Diamond Color and Clarity Chart Templates. 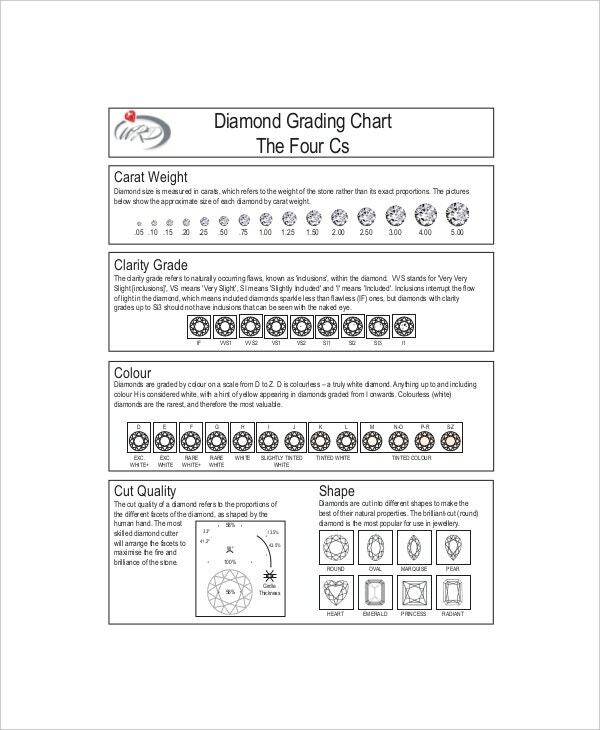 Diamonds grades clarity chart will help you to check each parts of the clarity category in an organized manner; all of the parts of the diamond from its shape and blemishes will be all recorded in one document that must be evaluated properly so you can get the right clarity grading for a diamond to have. Collect information online that has something to do with diamond grading and clarity where it must be restructured that is beneficial in the maker or user. Also add a spreadsheet that will help you apply the diagram that will take you to the desired chart you wanted. You can also see Diamond Color Scale and Clarity Chart Templates. 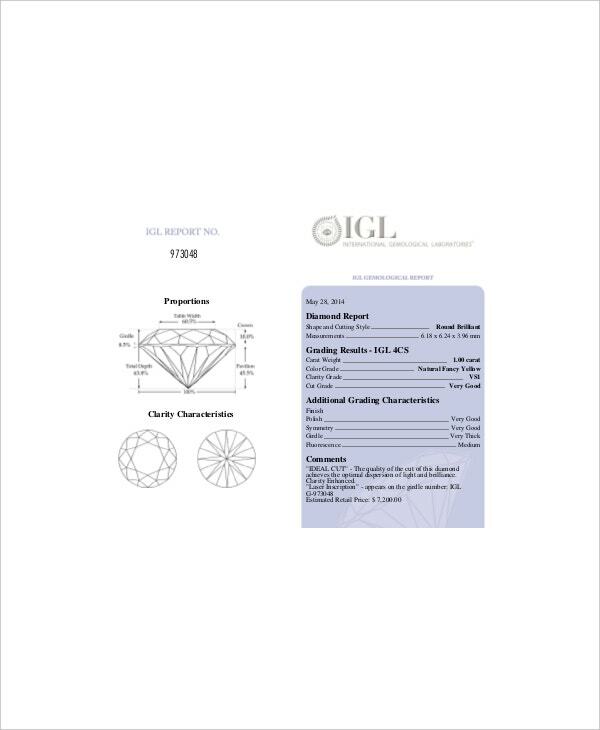 Use the Gemological institute of America chart that is used worldwide so you can be inclined to the latest trend of diamond grading and scaling. In example format, you can use the whole content of the chart instantly with all the information given by it. 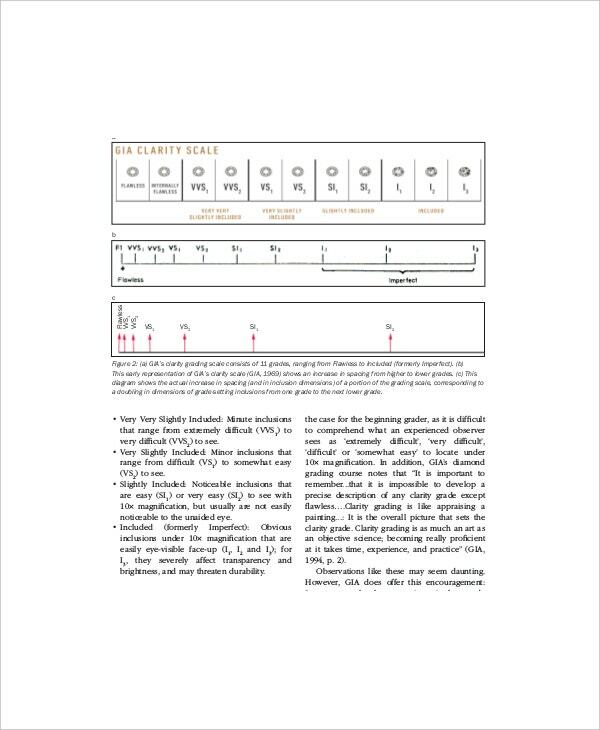 The chart will be handy in any occasions or work that requires an exact grading of the diamond in any cases as any jeweler or jewel maker should be.